Every business wants to go global these days, and unlike the yesteryears, it is very easy to do so these days. Angel investors and other form of money lenders are ready to invest funds in businesses to help them scale up in their work. At such a point of time, it gets extremely crucial for such businesses to just focus on their main work and outsource the rest. By outsourcing, an organisation is able to ensure that it maintains its focus while letting the other experts take care of everything else. Outsourcing might look easy but a lot of effort should be put in to decide whom to outsource to. Your customers are going to contact them and you just can’t let anyone take care of your most prized possession i.e. your customers. You need to ensure that you choose the best out of the outsourcing companies in order to give support you. A good institute would ensure that all the things are duly taken care of and nothing but the best is provided to your clientele. In deciding which BPO services to choose, there are a set of factors which help you distinguish a good outsourcing company from the rest. A few of these factors are explained below. 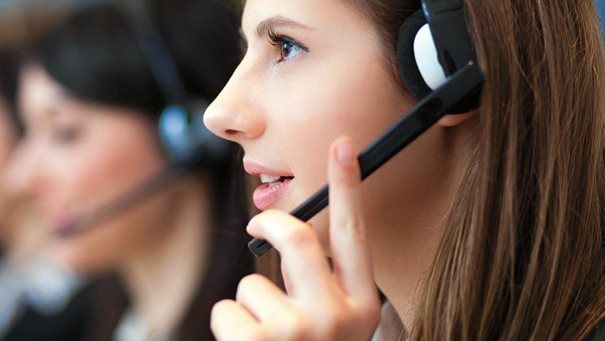 There are a gazillion companies out there which are providing best BPO services. But how do you choose the one which is best for you? Well when it comes to technology and business, simpler the methodologies, the better it is to work around with. You should always choose a call centre which is able to integrate effortlessly the technologies with your needs and critical equipment easily. No one has the time to think and care about the various complex things and if some critical system goes of which costs a bomb then the setup would be put on hold which in turn would impact your customer service immensely. So, such a centre should be chosen which has simplified processes. Another thing which is critical when choosing one out of a host of outsourcing companies is automation. There are no two doubts about it that machines provide better support at zero error and that too with efficiency. When everything is left on humans to do then because of various extraneous reasons and the presence of human error, work might not get completed on time and as a result, your business might suffer. That call centre where most of the things are supremely automated, it makes sure that all the work is done with low error and cost. Automation helps companies in simplifying their day-to-day activities and administer them more effectively. It is extremely critical for the call centre to suit the business needs of the company. Out of all the leading outsourcing companies, you should choose the one which is able to provide customized services not just to you but your customers as well. Everyone likes to feel important and customers are no different. By providing various systems wherein the customer is being talked to better, is able to track the status of complaint/query, etc. will help it in addressing customer issues in a better manner. There is no doubt about it that experience speaks for itself. It doesn’t matter how much a company is boastful about its abilities but experience in their area of specialization says a lot about them. The work of taking care of your customers has to be given to someone who hold the necessary experience in the same field. If a call centre has never interacted with the kind of target market you hold, it would get extremely difficult for its agents to take care of your customers. Thus, you should always choose that company which holds necessary experience in your niche only. When it comes to customer service, this is the most essential part of it. Turnaround time is the time between the queries of the customer is listened to the time it is resolved. You need to be very strict in this criteria as you’ll be able to achieve greater customer satisfaction levels only and only when the turnaround time will be low. No customer wants a delay when it comes to resolving his/her query. While outsourcing you are handing over the responsibility of your biggest asset to the company, and therefore you need to be doubly assured about the caliber of the institute as it relates to taking care of your customers’ needs.